Two thirds of people with mental health problems believe that workplace stress has contributed to their illness (Time To Change), and we believe that events like ‘Time to Talk’ are a great way to raise awareness and improve the work place as employees voice their opinions. As a company that embraces diversity and inclusion, we held “Time to Talk”sessions over the course of two days (20th and 21st September 2018). 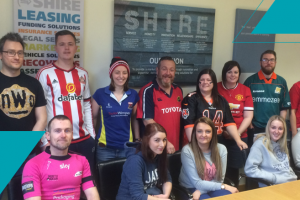 Employees from all Shire Leasing departments, as well as the Shire Business Group businesses, were invited to attend an optional 20 minute slot where they were made a hot drink by a manager, enjoyed some cake and snacks, and openly discussed mental health, wellbeing, diversity and inclusion in an informal environment. 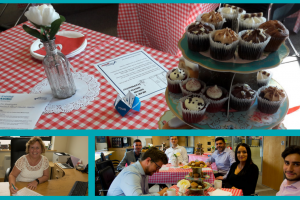 The event was organised by Shire Leasing’s Wellbeing Committee based on the positive feedback received from 2017’s Vintage Tea Day, which was also to raise awareness about mental health. “Time to Talk” served as a great opportunity for understanding other people’s views on important issues, and improving relationships across the business with mixed group sessions. 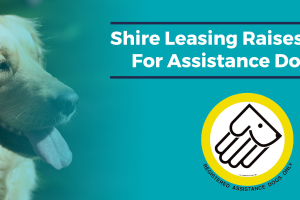 We hope that by leading such sessions, Shire Leasing can help to take the stigma out of discussing wellbeing and mental health.